NOTE: Sizes listed are UK. Please use conversion in Size & Fit tab. 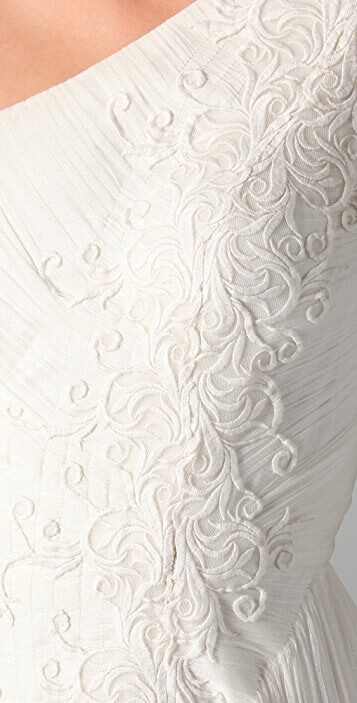 Delicate ivory embroidery runs down the bodice into a full, airy skirt. 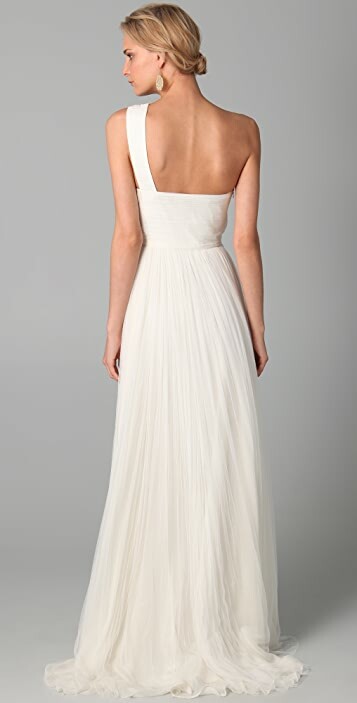 This one-shoulder ivory silk-mesh gown has a short train and a ruched bodice. Hidden side zip. bodice boning. Fully lined. * 62" long, measured from shoulder. * 100% silk with silk lining. Catherine Deane has lived in Ireland, South Africa, London, and Hong Kong, and her designs are inspired by the diverse art and craft traditions of these places. She launched her eponymous clothing line in London in 2005. 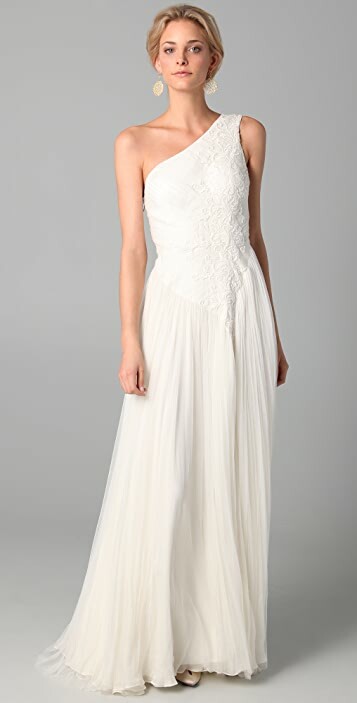 Deane's designs are visual confections, balancing ornate detailing with clean outlines. With a passion for luxurious fabrics and reinventing antique art and craft techniques, Deane's pieces blend vintage detailing with modern outlines.